It is important to know what God's meaning for numbers are as opposed to worldly interpretations, because many popular meanings for numbers are tainted by pagan and other belief systems. I got the meanings here through nearly ten years of following God. Some things were given to me through spiritual guidance, while others I found through research. All of them have real world backup for their meanings with related Scripture and other evidence, such as gematria, which is the numeric values of words and phrases from the sum of each letter. I've found gematria for Hebrew and English, especially, have shown how God guides and controls languages to an amazing degree of detail. Note: When a number is given in triplicate, such as 111 or 666, it means a full, absolute, or infinite amplification of the number. This is similar to how statements in Scripture are repeated in triplicate to mean a complete amplification, such as in "Holy, holy, holy is the Lord..." in Isaiah 6:3 and Revelation 4:8. A triplicate does not need to mean a bad thing. Negative meanings mainly come from 666, but you can see below that all triplicates don't have to have a bad meaning and can be read in good and bad ways. Warning: It's important to note that you should not be overly obsessed with numbers and their meanings, because it can lead you to obsess whenever you see or encounter a number, which can bring you to interpret things the wrong way or give meaning to things that don't really have any meaning. A worse consequence of overusing numbers and their meanings is using them in the sin of divination7, like numerologists and other fortune tellers do. DO NOT use numbers or anything else in divination or try to get extra meaning from them, because divination invites demons associated with it. Sometimes God can call you to notice numbers and their meanings, as I've been led and have seen others get guidance, but we should not go too far with them, get obsessed, or use them in the wrongs ways. 1. One: God the Father - the Foundation and Beginning. I realized this referred to God when I was given the number 111 and 213 many times throughout 2009. Then in November 2009, I found the page spread of Jeremiah in my NIV Study Bible began and ended exactly in the verses 1:11 to 2:13 as well1, which showed God's great control over physical things. See 111 and 213 for more and Reference 1 for a photo of the page spread. 2. Two: Love - the ideal connection between two people. Not necessarily romantic love, but love and charity in general. Ideal love for God also includes obeying Him. See "True Love - What does it mean to God? "2 to understand this better. I found out the meaning for two when I was given guidance with the number sequence 5, 4, 2 linking to 1 Corinthians 13:13, "But now faith, hope, love, abide these three; but the greatest of these is love." I realized 5, 4, and 2 went with Faith, Hope, and Love in the verse and furthermore saw the verse numbers were 13:13, which linked again to 213 with the two thirteens. I also got the revelation on 5/4/2010, which includes the first two numbers in the 5, 4, 2 sequence. Ezekiel 14:14 (two fourteens) notes how the righteous are only able to save themselves. This deliverance (14) shows God's love (2 from two 14's) for the righteous, and it is also in obeying God that earn further blessings of deliverance and protection. True love (2 & 222) for God includes obeying His commands (1 John 5:3; John 14:15). See True Love - What does it mean to God?2 for more about that. Matthew 14:14 (two fourteens) shows God's love (2 from two 14's) through Jesus' healing people in the masses. Their healing or physical salvation was given (14), and afterwards God's love for them was further shown in feeding them through a miracle (Matthew 14:15-21). 1 Corinthians 13:13, like the numbers 2 and 5, I got the meaning for four from this verse. See 2 for more details. Judges 4:14 where the verse numbers show how the Jews got Hope (4) of Deliverance (14) from the Canaanites when Deborah declares to Barak, "Arise! For this is the day in which the Lord has given Sisera into your hands..."
5. Five: Faith - Like 2 and 4, five goes with 1 Corinthians 13:13. See 2 for more details. Revelation 13:18, "...Calculate the number of the beast, for the number is that of a man..." See 666 for more. Isaiah 9:6 announces, "For to us a child is born, to us a son is given..." about Christ's first coming. It is a prophecy written in the present tense to note the certainty of it coming true18. The six in the verse number goes with how God manifested as a man. The meaning of nine in this verse relates to how Christ's coming as a human brings completeness to God's full character in the Trinity (see 111). Genesis 1:1 and 1:2 - The original Hebrew text of these verses contain 7 and 14 (two 7's) words, respectively4. Genesis 2:2 - There are seven days of creation, including God's day of rest4 - "By the seventh day God had finished the work He had been doing; so on the seventh day He rested from His work. And God blessed the seventh day and made it holy, because on it He rested from all the work of creating that He had done." Ruth 4:15, "May He also be to you a restorer of life and a sustainer of your old age; for your daughter-in-law [Ruth], who loves you and is better to you than seven sons, has given birth to him." Having seven sons was one of the greatest blessings in Israel4, since seven means completeness. Psalm 12:6, "The words of the Lord are pure words; As silver tried in a furnace on the earth, refined seven times." Refining silver seven times to remove impurities is used as a metaphor for God's words being completely pure3. Acts 2:1-36 about the first Pentecost after Christ's resurrection, which was also on a Sunday or eighth day5 (see Leviticus 23:15-21 below), and the coming of the "promise of the Holy Spirit." It marked another renewal 50 days after Christ's resurrection. The Holy Spirit coming on Pentecost also completed the Holy Trinity symbolized by the number 111 and marked the beginning of the age of the Last Days, since Peter referred to Joel 2:28-32, "'And it shall be in the last days,' God says, 'That I will pour forth of My Spirit on all mankind..." (Acts 2:17). John 7:37-39 - Jesus speaks on the last and eighth day of the Tabernacles Feast about the Holy Spirit coming on Pentecost to everyone who believes in Him. The last day of Tabernacles is called Shemini Atzeret or The Last Great Day. See The Lord's Holidays and Sabbaths15 for more about the Festival of Tabernacles or Booths. Romans 8:17 proclaims we are fellow heirs with Christ if we suffer with Him so that we are also glorified with Him. It goes with us getting victory (17) in the end when we are glorified with Christ during the resurrections (8) of the dead or Rapture. Genesis 8:4 is where Noah's ark rested on the mountains of Ararat. They would later come out there and renew (8) life with victory (17) over the judgment of the Flood. Exodus 22:29-30 - Firstborn sons and livestock were presented to the Lord eight days after birth. Leviticus 8:30-9:24 - Aaron and his sons were ordained as priests after seven days, emerging from the tent of meeting on the eighth day5. Then also on the eighth day, the glory of the Lord appeared before the people. Leviticus 23:10-11 - In these verses, the wave offering "the day after the sabbath" (the eighth day) for the harvest in the Promised Land of the Jews links to Christ's resurrection5, since He was also resurrected "after the sabbath" (see Matthew, Mark, Luke, and John verses above) and the rebirth of the New Covenant brings the new Promised Land or New Jerusalem (Revelation 3:12, 21:2). Leviticus 23:15-21 about Pentecost on the Sunday or eighth day5, 50 days after the wave offering of Leviticus 23:10-11 above, goes with Acts 2:1-36 above and the renewal of the Holy Spirit on Pentecost. Matthew 27:45-50; Mark 15:33-37; Luke 23:44-46 - Jesus died in the ninth hour, completing the judgment to atone for our sins. The 9th hour in ancient times works out to be 3 pm today. I got a lot of guidance related to the number 306 and believe the Lord died at 3:06 pm. See 306 for details. Isaiah 9:6 announces, "For to us a child is born, to us a son is given..." about Christ's first coming. It is a prophecy written in the present tense to note the certainty of it coming true18. The meaning of nine in this verse relates to how Christ's coming as a human brings completeness to God's full character in the Trinity (see 111). The six in the verse number also goes with it being Man's Number and how God manifested as a man. Psalm 9 talks a lot about God being Judge and how He brings judgment - "But the Lord abides forever; He has established His throne for judgment, and He will judge the world in righteousness; He will execute judgement for the peoples with equity... The nations have sunk down in the pit which they have made; In the net which they hid, their own foot has been caught. The Lord has made Himself known; He has executed judgment... Arise, O Lord, do not let man prevail; Let the nations be judged before You" (Psalm 9:7-19). 2 Kings 17:1 where it says King Hoshea/Oshea of Israel reigned nine years before the north kingdom (Judah was the southern kingdom) fell to the Assyrians6, so he was the final or last king of the north kingdom, which goes with nine's meaning of finality and judgment. Galatians 5:22-23 where there are nine fruits of the Holy Spirit listed6 - "Love, joy, peace, patience, kindness, goodness, faithfulness, gentleness, self-control; against such things there is no law." So having all these fruits is to have more completeness in the Holy Spirit. Like the nine fruits of the Holy Spirit, experiencing these Beatitudes also brings more completeness of character and lets you feel affinity with Christ and our brethren in suffering (Romans 5:3-5, 8:17; 1 Peter 4:12-19; 2 Corinthians 1:3-10, 4:8-18, 6:4-10; Philippians 3:8-11; Colossians 1:24). 13. Thirteen: Great Blessing & Promise from God for Man that can only come by God's Hand8; 7 (God's Number; a promise from God) + 6 (Man's Number; a promise for man) = 13. The meaning comes from the promise God gave to Abraham of a blood heir (Genesis 15:4, 17;19), however, after waiting about 10 years for the promise, Abraham and Sarah tried to make it happen through Hagar, Sarah's slave (Genesis 16:1-4). The result was Abraham's son, Ismael, born through Hagar when Abraham was 86 years old (Genesis 16:15-16). Thirteen years later when Abraham was 99 (Genesis 17:1, 17:25), God clarified that Sarah would give birth to the heir He would establish His everlasting covenant with (Genesis 17:15-19, 17:21). That heir was Isaac. Note how 13 embodies God's promise and blessing is brought by His choice and timing. We cannot bring about God's will by ourselves, so if you're certain God promised you something and it is taking a very long time to come, ask Him if you need to do something more or simply wait. Trying to pursue His promises without the means to make them successful will be fruitless and very painful when the pursuit fails without God's help. On the other hand, God's unconditional promises always come regardless of what we do, so the good side is that the promise will come even if it may take a long time or if we do things that seem to mess it up. Also note the number of years between God's promise of an heir and its clarification and fulfillment with Sarah's pregnancy is 23 years, which goes with the meaning of 23 being opposition. God opposed the fulfillment of His promise until the time He wanted. In Genesis 18 where Abraham's name is mentioned for the 14th time17, God tells him that Sarah would give birth to the heir of the covenant (see 13 for more about that promise). His promise would be given (14) through her. Exodus 12:14 is the first instance of God's command to celebrate the Passover, which commemorates deliverance (14) from slavery in Egypt on the 14th day of the first Hebrew month (see The Lord's Holidays15 for more about Passover). The 14th time Joshua's name is mentioned in Numbers 27:18, Moses is told to lay hands on Joshua to commission him as the next leader for the Jews, which released (14) Moses from his leadership role. In Judges 4:14, Hope (4) of Deliverance (14) is given when Deborah declares the Lord will give victory over the Canaanites. Ezekiel 14:14 notes how the righteous are only able to save themselves. This deliverance (14) shows God's love (2 from two 14's) for the righteous, and it is also in obeying God that earn further blessings of deliverance and protection. True love (2 & 222) for God includes obeying His commands (1 John 5:3; John 14:15). See True Love - What does it mean to God?2 for more about that. Matthew 14:14 shows God's love (2 from two 14's) through Jesus' healing people in the masses. Their healing or physical salvation was given (14), and afterwards God's love (2) for them was further shown in feeding them through a miracle (Matthew 14:15-21). In Acts 27:27-44, everyone on the ship with the apostle Paul was delivered (14) to safety on the 14th day after being in a storm at sea17. Revelation 12:14 shows God's promise of deliverance (14) given to His Wed Bride. The woman of Revelation 12 represents the people in the church who are wed or truly saved (see The True Gospel and Imposters19 for details). She is given the wings of an eagle, so she can fly to a place where the enemy cannot reach her. Romans 8:17 proclaims we are fellow heirs with Christ, especially if we suffer with Him so that we are also glorified with Him. It goes with us getting victory (17) in the end when we are glorified with Christ during the resurrections (8) of the dead or Rapture. The Great Flood started on the 17th day of the second Hebrew month (Genesis 7:11)28, which gave God victory (17) over all the sins of the time. Then on the 17th day of the seventh month, the ark rested on the mountains of Ararat (Genesis 8:4), where they would later come out and renew (8) life with victory (17) over the judgment of the Flood. Apostle Paul lists 17 things that cannot separate us from the love of Christ28, which gives us victory (17) in the end: Trouble, hardship, persecution, famine, nakedness, danger, sword, death, life, angels, demons, present, future, powers, height, depth, or anything else in creation (Romans 8:35, 8:38). "We are more than conquerors through Him who loved us" (Romans 8:37). The antichrist beast of Revelation 13 has ten horns and seven heads giving a total of 1728. The beast is given power to make war against the saints and have victory (17) over them and will have authority over the whole world, having victory (17) over everyone whose name is not written in the Book of Life (Revelation 13:7-8). There were 23 years between God's promise to Abraham of an heir and His reiteration of the promise (see 13 for details). Leviticus 26:23 notes if we do not return to the Lord in righteousness, but continually oppose Him with hostility (23) by sinning even after being rebuked with severe judgments, then God's severe opposition (23) or "wrathful hostility" will come, even upon our children and descendants (Leviticus 26:14-39). Numbers 22:23 where the angel of the Lord stands to oppose (23) Balaam on his donkey for the first time of three, but he does not realize he is opposing God (23) by urging the donkey to continue. The chapter of 2 Kings 23 gives examples of how King Josiah opposes (23) the wickedness throughout Israel by removing pagan altars and reinstating the Law of Moses for the people. The chapter of 2 Chronicles 23 shows God oppose (23) and remove Athalia, the wicked mother of King Ahaziah of Judah who usurped power by killing most of Ahaziah's heirs after he was killed (2 Chronicles 22:8-23:21). Joel 2:23 states to rejoice in the Lord after judgment and opposition (23) in the verses before. It shows His continued love (2) after sin is reconciled. Matthew 23 shows God's opposition (23) as Jesus states many woes against the Jewish scribes and Pharisees (Matthew 23:13-33). John 20:23 notes how keeping unforgiveness will have our sins unforgiven by God since this goes with Matthew 6:14-15, "For if you forgive men when they sin against you, your heavenly Father will also forgive you. But if you do not forgive them their sins, your Father will not forgive your sins." God's unforgiveness (23, His opposition) refers to His withholding deliverance, healing, and salvation from the curses or judgments that our sins brought us. See Balancing the Truth and Prayer9 for more about that. Genesis 2:21-23 goes with John 21:23 and Romans 8:7 above about incorrect interpretations. I noticed the link to 23 in the Genesis story of how Eve was created after noticing humans have 23 pairs of chromosomes in our DNA and linked it to an article I read by a Jewish commentator. The article was about how the Hebrew was mistranslated in the Genesis story. I can no longer find the article, but I remember it stated the Genesis story should be translated more like, "So the Lord caused Adam to fall into a deep sleep; and while he was sleeping, He took a portion of Adam and closed up the place with flesh. Then God made a woman from the portion of flesh and brought her to him. Adam said, 'This is now bone of my bones and flesh of my flesh; she shall be called woman, for she was taken out of man.'" The story of Eve's origin can be translated this way because the Hebrew, tsela, for "rib" also means the side of something or a part20, which is how it is usually translated in the Bible. This goes with mistranslation and opposition (23), because I knew there was a reason why God made us with 23 pairs of chromosomes, and He had me notice it with my work in the meaning of numbers and ministry in correcting our spiritual knowledge with fuller details. It goes with how God opposes (23) the proud, wise, and learned by hiding the full details with parables and stating things only partially (Luke 10:21). John 20:23 and Matthew 6:14-15 linked above are examples of two verses that need to go together to understand the complete meaning, but they were given as completely separate statements at different times. The verses I was guided to connect for The True Gospel19 are more examples of needing to connect Scripture to get a more complete and correct picture. Misinterpretation and holding rigidly to incorrect viewpoints is also opposition (23) to the actual truth, yet the church has clung to bad interpretations and teaching for centuries, even when they've been given the fuller details. I've seen the church oppose (23) the use of different translations of Bibles or even any Bible other than they've approved, but in my work I've seen we cannot limit ourselves to only one or two Bibles and even more importantly, we need to avoid others, because they have very skewed interpretations or include false guidance and teaching from the enemy. See Choosing a Bible21 for more about selecting good Bibles. The terrorist disasters of 9/11 occurred on Elul 23, the date's corresponding day on the Hebrew calendar11. 9/11 was God's opposition (23) and judgment for the United States, because of her sins. See 9/11 Prophecy12 for more details. Acts 2:36, "Therefore let all the house of Israel know for certain that God has made Him both Lord and Christ - this Jesus whom you crucified." This verse states Christ's triumph over His enemies by being resurrected and enthroned at God's right hand after being killed by them (Acts 2-34-36). Numbers 14:36-37 states that most of the Israelite scouts who made a bad report of the Promised Land and started the people's revolt against God's command to take it were killed. They became enemies to God and His plans. In Joshua 7:5, thirty six Israelites are killed when God's protection left after Achan's family broke God's covenant to dedicate plunder of Jericho to Him (Joshua 6:17-19, 7:1, 7:10-26). Both Numbers 14 above and Joshua 6-7 refer to people becoming God's enemies when they go against His commands. After the 36th time Noah's name is mentioned in Genesis 9:20, we see how his son, Ham, became an enemy for bringing shame to Noah and is cursed for it22 (Genesis 9:20-25). When David's name is mentioned for the 36th time in 1 Samuel 17:48, he is running to meet Goliath, the Philistine enemy22. In Jeremiah 36, King Jehoiakim, his descendants, and servants are cursed for being enemies of God because of their sins, after they do not believe His message of judgment will come to the people (Jeremiah 36:20-31) and Jehoiakim destroys the prophecy. If they would have turned from theirs sins, God would not have given them judgments as severe as He declared in the Law of Moses (Leviticus 26:14-45; see Leviticus 26:23 in 23 above). John 10:36 shows Jesus speaking back at his enemies (Jewish accusers) after they question His assertion of deity and try to stone Him (John 10:22-39). "El Shaddai" (Hebrew for Lord God Almighty) has a value of 36 in English Aik Bekar gematria (a different form of calculating a word's value than standard English gematria), which goes with God becoming an enemy if we sin and goes with Isaiah 63 and the meaning of 63. See 63 for details. Song of Songs 6:3, "I am my beloved's and my beloved's is mine..."
Isaiah 63 speaks of Isaiah's solid faith that the Lord is still Loving Father and Redeemer for His People despite Him becoming their enemy because of their sin (Isaiah 63:1-19). Words with English gematria value 63 include "divine", "El Shaddai" (Hebrew for Lord God Almighty), and "saint". It's interesting to note that "El Shaddai" also has a value of 36 in English Aik Bekar gematria (a different form of calculating a word's value), which goes with God becoming an enemy if we sin and goes with Isaiah 63 above, "But they rebelled and grieved His Holy Spirit; Therefore He turned Himself to become their enemy, He fought against them" (Isaiah 63:10). 111. One Hundred Eleven: Symbolizes the Holy Trinity and the completeness of God in it (God is both 1 and 3 at the same time, since 1+1+1 = 3). Throughout 2009, I was guided about the number 111 pointing to God and that it refers to the beginning of the Christian age in the first coming of Christ (see 1 for more). God's completeness in the Trinity was fulfilled when Christ came as a human, died, and was resurrected, which also brought His Holy Spirit in power afterwards at Pentecost to further complete the Trinity. His Spirit would not have come in completeness to us until Jesus died (John 16:7). This Christian age beginning at Christ's first coming is "this generation" that Jesus speaks about concerning His second coming (Matthew 24:34; Mark 8:38, 13:30; Luke 21:32). 111 is the gematria value of 3rd Compass, which was a divinely inspired name to refer to God and my ministry. I used 3rd Compass to refer to God as the Compass that encompasses all things in my first book13 in 2009, but at the time I did not realize the gematria value was 111, which further backs up God's fingerprint as 3rd Compass equating to the Lord and this ministry as truly anointed by Him. Ephesians 1:11 goes with the 3rd Compass gematria value above and this ministry being predestined, "... we have obtained an inheritance, having been predestined according to His purpose who works all things after the counsel of His will..." (Ephesians 1:11). Ephesians 1:8-10 - The verses before Ephesians 1:11 above also note how Christ's first coming summed all things up in Christ, putting the Holy Trinity in full view and making it complete, "In all wisdom and insight He made known to us the mystery of His will, according to His kind intention which He purposed in Him with a view to an administration suitable to the fullness of the times, that is, the summing up of all things in Christ, things in the heavens and things on the earth." 'I see the branch of an almond tree,' I replied. The Lord said to me, 'You have seen correctly, for I am watching to see that my word is fulfilled.'" I noticed this Scripture after I was guided to the page spread I talked about for the meaning of the number one. God fulfilling His word goes with the meaning of the number 111 above - that it is God's completeness in the Holy Trinity. Christ came to fulfill the law or God's word (Matthew 5:17; Luke 24:44), so 111 and Jeremiah 1:11-12 align in theme. John 21:11 is where the Lord's disciples catch 153 fish14. This catch represents their successful fishing of men (Matthew 4:19; Mark 1:17) - the evangelism of new believers into God's Kingdom through Christ. The bold italic phrases in the following narrative made by Les and Nella all have English gematria values of 15314: "The Gospel Age preached The Kingdom of God and saw the completion and preservation of The Oracles of God, The Holy Word. At its commencement the promised Seed of the Woman came as The Revealed Son, The Branch – Jesus, and The True Light of the world, making available The Water of Life to The Christians who became The Children of God by belief in Him and His sacrifice on their behalf. During this period also the House of Israel and The Great People, Of Josephs’ Line have been a Hidden Witness to the faithfulness of almighty God in keeping His promises to their fathers. In the final outcome, The House of Jacob is to become A Purified Israel and the British Language, possibly The Last Language of the Age." The narrative also notes how English (the British Language in the narrative above) was made prominent for our age and its structure, as well as that of most languages, was divinely controlled, as can be seen by many gematria values lining up with corresponding themes. The 213 Promise symbolizes the Lord's return and end of this age16 - "this generation" noted above. 213 combines 2 (Love) and 13 (God's Promise & Blessing) - the Promise of Love in the return of Christ after turbulent times in the Last Days, Great Tribulation, and Apocalypse. Ephesians 2:13 notes our unity and reconciliation through Christ, which goes with the 213 Promise above, because we must be truly saved into God's Kingdom by our confession of faith in Jesus to other people (Matthew 10:32; Romans 10:9-10; 1 John 2:23, 4:15). That is a very important part of truly belonging to Christ because no one can be in His Kingdom without being reborn with His Spirit (John 3:5-7; Romans 8:9). See The True Gospel and Imposters19 for details. 1 Corinthians 2:13 notes how we need to get revelation from the Holy Spirit, "not in words taught by human wisdom, but in those taught by the Spirit"10. Much of the knowledge I share on this site was gotten through revelation by the Holy Spirit given to me and others, which could not have come by our own wisdom. This goes with the need to be reborn with God's Spirit to truly belong to Him in Ephesians 2:13 above, because how can you have the mind of God (1 Corinthians 2:16) if you do not have His Spirit? The only other way I know of to get the Holy Spirit without being reborn with it or saved into God's Kingdom is by direct anointment from Him, such as done with Abraham, Moses, leaders under Moses (Numbers 11:24-30), other prophets, and the priesthood (Exodus 29:1-9, 30:30-33, 40:13-15; Leviticus 8:1-13). This anointment of the Holy Spirit is like what happened at Pentecost (Acts 2:1-4), but is not the same as being reborn with His Spirit. Titus 2:13 goes with the 213 Promise above and our waiting and preparing for Christ's return, "For the grace of God that brings salvation has appeared to all men. It teaches us to say 'No' to ungodliness and worldly passions, and to live self-controlled, upright and godly lives in this present age, while we wait for the blessed hope - the glorious appearing of our great God and Savior, Jesus Christ, who gave Himself for us to redeem us from all wickedness and to purify for Himself a people that are His very own, eager to do what is good" (Titus 2:11-14). Joel 2:13 and Jeremiah 2:13 refer to how we are to return to God by walking away from sin, which requires us to correctly understand the truth, God's guidance, and what sin really is, because His people (both Christians and Jews) have built on bad principles and assumptions that are full of error and untruth (the broken cisterns or wells of Jeremiah 2:13). 1 Corinthians 13:13 has two thirteens (213) in the verse numbers and notes how important Godly Love and Charity (2) is. This verse gave me the meanings for the numbers 2, 4, and 5. See 2 for details. 214. Two Hundred Fourteen: Symbolizes the realized second coming of Christ and the end of "this generation" (see 111 and 213); 214 contains the Promise of Christ's return (13 and 213) finally being delivered (14) and refers to the end of our current Christian age and the beginning of the millennial reign when God's Bride (the church), living and dead, is resurrected and reigns with Him in the Rapture (Revelation 20:4-6; 1 Thessalonians 4:13-18; 2 Thessalonians 2:1-12; John 5:25-29). Genesis 2:22 is the first occurrence of 222 in the Bible verse numbers and notes God's love for Adam after He sees he needs a companion, and so creates Eve to be his partner and wife. This is an example of God's unconditional love, which requires nothing from us to attain or return. Genesis 22:2, which has the first use of the word "love" in the Bible, also encodes 222 in the verse numbers. This verse shows what love for God must include - obedience to His commands, because it is where God tells Abraham to sacrifice Isaac and he tries to do so obediently. This goes with how we need to also obey God's laws and commands to get blessings from acting in righteousness, like Abraham did (Genesis 22:1-18). see "True Love - What does it mean to God? "2 for more about this. Christ died at 3:06 pm. Paul Remlinger came about this by using English gematria values that cycle back to the number 18623. He noted the constellations of the zodiac exist about 8 degrees above and below the ecliptic24. 8 is the number for resurrection, so the zodiac contains "2 resurrections", which equals 2 + 184 = 186 from the gematria value of "resurrections". The gematria values for words "eight" = 49 and "forty 9" = 93, so "8 8" from "2 resurrections" is also "49 49" since the value for "eight" = 49. Furthermore, "49 49" = "two 93's" or "93 93", since the value of "forty 9" = 93. Then by cancelling the nines (the number of judgment), since Christ cancels judgment, in "93 93" we get "33", which is the age when Jesus died. Then continuing with "33" = "thirty three" = 100 + 56 = 156 by using gematria values for the words. 156 is split into 15 and 6, which gives us 15 hours and 6 minutes, giving us 15:06 on the clock or 3:06pm. Paul then finishes the cycle by noting 3:06 = 3 hours 6 minutes = 3 times 60 minutes + 6 = 186 minutes, bringing us back to the 186 of "2 resurrections". This time is backed up by Scripture in Matthew 27:45-50, Mark 15:33-37, and Luke 23:44-46 where it says Jesus died in the 9th hour. In ancient times, the day was split into 12 hours from sunrise to sunset25, which put the middle or sixth hour at noon or 12pm today. That makes the 9th hour begin at 3pm. Martin Luther King, Jr. was assassinated outside his motel room door number 306 (see photo below), so he suffered and died for a righteous mission, like Jesus did. Philippians 3:13-3:14 where the apostle Paul says, "This one thing I do, forgetting those things which are behind... I press toward the mark for the prize of the high calling of God in Christ Jesus." Our spiritual race towards God's goals often have us tackle difficult circumstances and opposition, which we need strong resolve and faith to overcome and accomplish God's will, such as the faith shown by Caleb and Joshua when the Lord told the Israelites to take the Promised Land, while the other scouts turned the people away from God's plan (Numbers 14:1-38) (see 36 for more about that Scripture). This kind of faithful resolve is often needed to take our new Promised Land or New Jerusalem of the Christian age from error and darkness. Philippians 4:13 where Paul exclaims he can do anything in God, Who gives him strength. Acts 4:13 notes Peter and John's confidence through God to speak even though they appeared untrained and uneducated to the council of rulers, elders, scribes, and high priests in Jerusalem (Acts 4:5-22). This verse can be easily misunderstood to mean they were not educated about spiritual things, yet were able to preach for God, however, Peter and John were trained by Jesus for about three years since He began His ministry after the 40 day fast and temptation (Matthew 4:18-22; Luke 5:1-11). Acts 4 happens after Christ left them after His resurrection (Acts 1:9), so John and Peter were trained disciples by then. 1 Peter 4:13 notes how we should rejoice as God brings us through tests and tribulation to share in Jesus' suffering, which God strengthens us to go through. Exodus 4:13 shows Moses wanting to walk away from the leading role to free the Jews, but we see God moving Moses and ensuring him all the help he needs (Exodus 4:10-17). Ephesians 4:13 goes with God giving us the strength in our anointed roles as pastors, apostles, prophets, teachers, evangelists, psalmist, etc., so we can fight for the unity of His People and knowledge of Christ, and for our individual maturity until we are all truly one people in Christ (Ephesians 2:11-22). The Old English gematria value for Jesus is 444, going with the full, absolute hope (4) we have in Christ and the New Covenant. 444 also reduces to 3, which is the number of God as the Trinity26. The Old English gematria value for Lucifer is also 444. This could be thought of as the reverse of Jesus' 444, but remember Satan was an archangel of the Lord and Lucifer means, "light-bearer, shining one, or morning star"27 and comes from the Hebrew הילל (heylel) in Isaiah 14:12. Satan and demons can still speak truth, so "light-bearer" continues to be an apt name, however, they also lie and mislead with the truth, so cannot be trusted. It's interesting to note that the Hebrew gematria value for הילל (heylel) is 39 and if we cancel the nine, because Christ cancels judgment (9), we are left with 3, the number for God as the Holy Trinity, who is also the true Morning Star (Revelation 22:16). Furthermore, it's interesting that the Old English gematria value for "morning star" is 888, which also equates to Jesus by Greek gematria value. The Old English gematria value for Joshua matches that of Jesus (444), which is a link to the two names being equal, because Joshua is the English transliteration of the Hebrew name יהושוע "Yehoshua", while Jesus is the English transliteration of the same name in Greek (Iesous). This language transliteration is why many non-Westernized Christians call Jesus by Yehoshua, Yeshua, or Yahushua. I prefer Yehoshua since that is the pronunciation given in the KJV and is also used by modern Israelies. See the About section for the song "Hashem - The Name" for more about this. וישכן כבוד- יהוה "The glory of the Lord dwelt"
הגלות "carried away into exile"
דמשק "Damascus" where the apostle Paul's hope in God was restored when his sight was given back and where his new ministry for Christ to give full hope (444) to the Jews and Gentiles began (Acts 22:6-16, 26:12-18). The Greek gematria for τελεία ἀγάπη "perfect love" in 1 John 4:18 is 44426, which goes with the perfect love (4) of negating all our sins given by Christ and the New Covenant. The Greek gematria for σὰρξ καὶ αἷμα "flesh and blood" (1 Corinthians 15:50) is 44426 and goes with Jesus being God the Messiah incarnate as a flesh and blood man. The Greek gematria value for Ἰησοῦς "Jesus" is 888, Who gives us everlasting life through the New Covenant. 1 "Jeremiah 1:11-2:13". Pages 1138-1139. NIV Study Bible. Grand Rapids, Michigan. Zondervan. 2002. Print. 2 Huynh, Ty Alexander. "True Love - What does it mean to God?". 3rd Compass - Christ Hephzibah Church. 3 "Notes to Genesis 4:17-18, 5:5; Leviticus 4:6; Ruth 4:15; Psalm 12:6". Pages 12, 152, 371, 799. NIV Study Bible. Grand Rapids, Michigan. Zondervan. 2002. Print. 4 "Introduction to Genesis: Literary Features". Page 3. 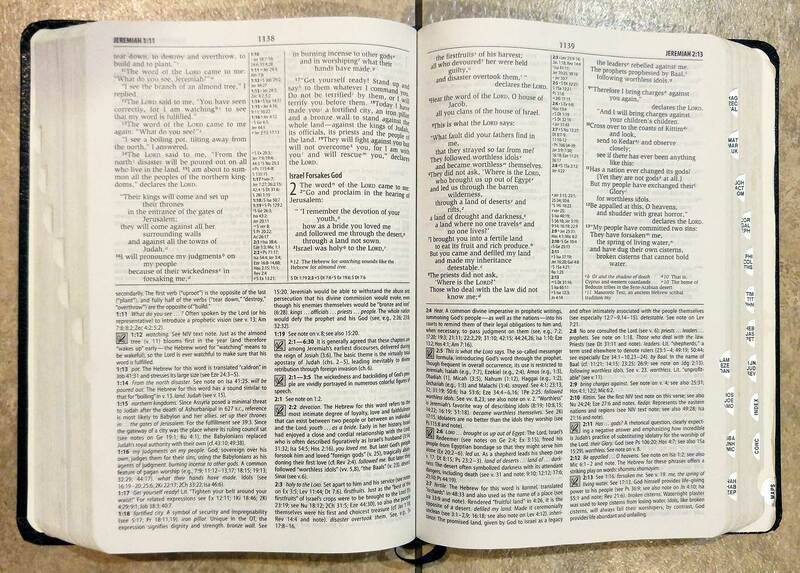 NIV Study Bible. Grand Rapids, Michigan. Zondervan. 2002. Print. 5 "Chapter 2: Numbers 1-10 - Eight (Chet) New Beginning". God's Kingdom Ministries. 6 "The Meaning of Numbers: The Number 9". The Bible Study Site. 7 Huynh, Ty Alexander. "Divination, Idolatry and the Curse of False Gospels". 3rd Compass - Christ Hephzibah Church. 8 Gola, Steven. "The Number 13". Take His Heart Ministries. 2008 Jan. 8. 9 Huynh, Ty Alexander. "Balancing the Truth and Prayer". 3rd Compass - Christ Hephzibah Church. 10 Huynh, Ty Alexander. "Light Within". 3rd Compass - Christ Hephzibah Church. 11 Cahn, Jonathan. The Mystery of the Shemitah. pg 174. Frontline. Lake Mary, Florida. 2014. Print. 12 Huynh, Ty Alexander. "9/11 Prophecy". 3rd Compass - Christ Hephzibah Church. 13 Huynh, Ty Alexander. 3rd Compass - Navigating Reality and the Last Days. MainstreamMedia LLC. 2009. Print and online. 14 Unknown Last Name, Jack. "English Gematria". 15 Huynh, Ty Alexander. "The Lord's Holidays and Sabbaths". 3rd Compass - Christ Hephzibah Church. 16 "How Covenants Work". 1/19/2011. Light Within. 3rd Compass - Christ Hephzibah Church. 17 "Chapter 3: Numbers 11-20 - Fourteen (Yod-Daleth) Deliverance, Release". God's Kingdom Ministries. 18 Ketterling, Rob. "Sermon about Isaiah 9:6". River Valley Church. 2009 Dec. 13. 19 Huynh, Ty Alexander. "The True Gospel and Imposters". 3rd Compass - Christ Hephzibah Church. 20 "Entry for Strong's #6763 - צַלְעָה". Brown-Driver-Briggs Hebrew and English Lexicon. BibleSoft, Inc. 2002, 2003, 2006. 21 Huynh, Ty Alexander. "Choosing a Bible". 3rd Compass - Christ Hephzibah Church. 22 "Chapter 5: Numbers 31-40 - Thirty-Six (Lamed-Vav) Adversary, Enemy". God's Kingdom Ministries. 23 Remlinger, Paul. "English Gematria". 24 "Definition 1 for zodiac (noun)". Dictionary.com. 25 Grattan, Kenneth. "A brief history of telling time". The Conversation. 2016 May 15. 26 "Properties of the number 444". Riding The Beast. 27 "Entry for Strong's #1966 - הילל ". Brown-Driver-Briggs Hebrew and English Lexicon. BibleSoft, Inc. 2002, 2003, 2006. 28 "The Meaning of Numbers: The Number 17". BibleStudy.org.